Every project should have a project manager! Yeah; I know you only have a small company and everybody knows what to do on your jobs. This works well for some jobs but what happens when something goes wrong? An uh-oh moment is only comical if you have a weird sense of humor! Does everybody stand around pointing fingers at each other if something does go wrong? This approach is one that will limit your company’s growth! Somebody has to step up or be appointed to be the project manager or you may end up with this kind of results on one of your jobs. Everybody shares the glory when a job goes right but everybody runs for the hills and looks for somebody to blame if a job turns sour. In order for a project to be successful everybody needs to know what to do when they hit the job and all the materials and tools must be on site so your team can complete their portion of the Project in a timely manner. There is nothing worse than have a dozen men at the job site collecting $30.00 per hour without the necessary materials. I have seen this happen and it is enough to make a normally calm man run his fist into a steel beam because somebody dropped the ball and forgot to get the material to the project job site. A good project manager is worth their weight in gold so you need to take the necessary steps to be that person or train one. Whether you are a prime contractor or a subcontractor you need to establish a procedure to manage your projects. When you appoint a project manager; they should take the plans and specifications and go over the cost breakdown, go through the estimate with your estimating team. Basically do a postmortem on the job cost breakdown. Break the project down into the different phases to see how many man hours are needed for every phase. Gets necessary submittal information from your material and equipment supplier. Coordinates material and equipment delivery the to job site as needed. Gets color selections for the materials that fall within your scope of work. Negotiates a schedule of values for your monthly billings and/or cost per phase. Coordinates with the general contractor to establish mile stones for the project. Attends inspections to insure that your company will get work approval for payment. Coordinates daily manpower needs at the project. Coordinates with your project superintendent for project close out. Negotiate any possible change order requests. These are just a few of the items a good project manager should do for your company on each and every project. 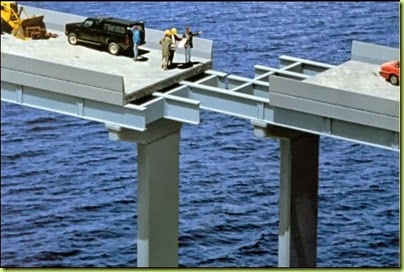 Without a good project manager your projects can get out of control very quickly! I have seen sub contracting crews on project sites that were in utter chaos. They looked like a bunch of kids at “Camp Run Amok”. Yes! The subcontractor ended up getting kicked off the project because their work was substandard and they were causing the project to fall behind the established schedule. Review your procedure for running your projects and do whatever is necessary to establish a professional procedure that is going to make you money. The need for good project management applies to all businesses so you need to consider how project management affects your business.